Protect people and the planet every day! 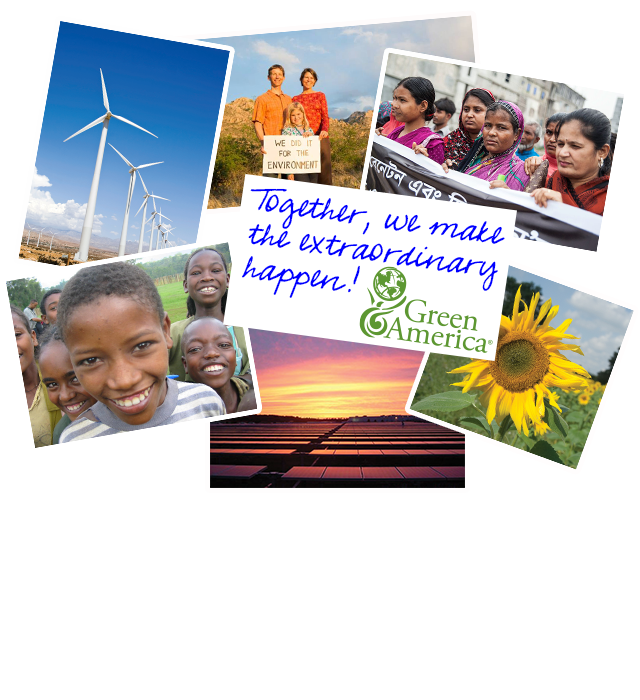 YES, I want to become a monthly supporter to help Green America’s work to promote social justice and environmental sustainability through economic action. Monthly giving is the best giving option for both Green America and our members—it allows us to save on banking fees and paper—and our members love how convenient it is to give a little each month and make an even bigger impact with their tax-deductible donation! The average monthly gift is $16. Please select an amount you feel comfortable with. Digital publications are only available to recurring donors.